Just over 1 year ago TheEmployable started writing. 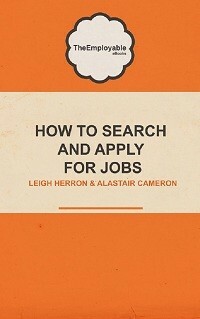 1 year later, we have written about pretty much everything to do with employment, whether it be on how to search and apply for jobs, improving your interview techniques, creating a standout CV, creating a job, or starting your own business. Whether someone is currently unemployed, self employed, employed – but fed up, or just looking to get that next career step up, we hope that our articles have motivated, informed inspired and even made you laugh. 12 months and hundreds of articles later, we receive 20000+ page views per month and have a Google Page Ranking of 4. Not bad going in a relatively short time! Interestingly as well, other employment writers, bloggers, Content writers, Marketers and Advertisers seem to like what we say and it’s nice to be seen as a credible platform for career and employment information. We currently have a lot more plans for the site itself and also for some interesting and unique offline TheEmployable projects. Exciting times ahead we feel! If you’d like to help us with these developments, the good news is you can! To help us start getting these plans in action, we are introducing a feature where you can sponsor one of our many posts and in return get a little promotion for yourself or your own business. A win/win we think you’ll agree! – We have hundreds of articles and hundreds of articles that you can sponsor. – If you are a business, marketer, content writer, we will allow you to sponsor a post on a permanent basis – and include that very important link. – If you are a business that has a vested interested in an employment related subject, give yourself a credible piece of advertising, by being associated with an article of choice and associated with TheEmployable full stop! – Your name, business, link will appear at the bottom of the article, and you can even include a blurb (up to 140 characters). – For example: This post was sponsored by Startacus – the self start society. Interested in sponsoring a post (or posts! ), and supporting TheEmployable, then please email employablemenet@gmail.com and we can get back to you with all the relevant information you will need.